I hold on to pieces of fabric and clothing which I know one day will find their way into or be the inspiration for a new piece of work. 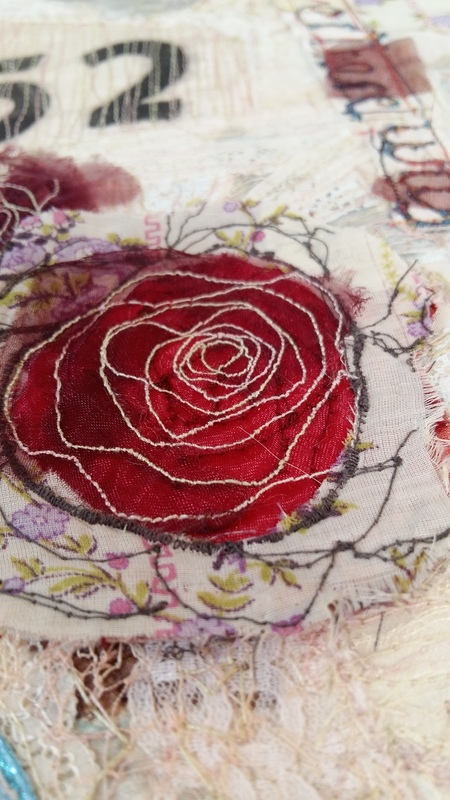 This current embroidery is inspired by a Rose Queen sash from 1952 and includes other vintage fabrics too. I hope to have it finished this next week and then it’s back to the cupboard for some more delectable treats. This entry was posted in Vintage Rose and tagged free machine embroidery, textile atrtist by suzette smart. Bookmark the permalink.